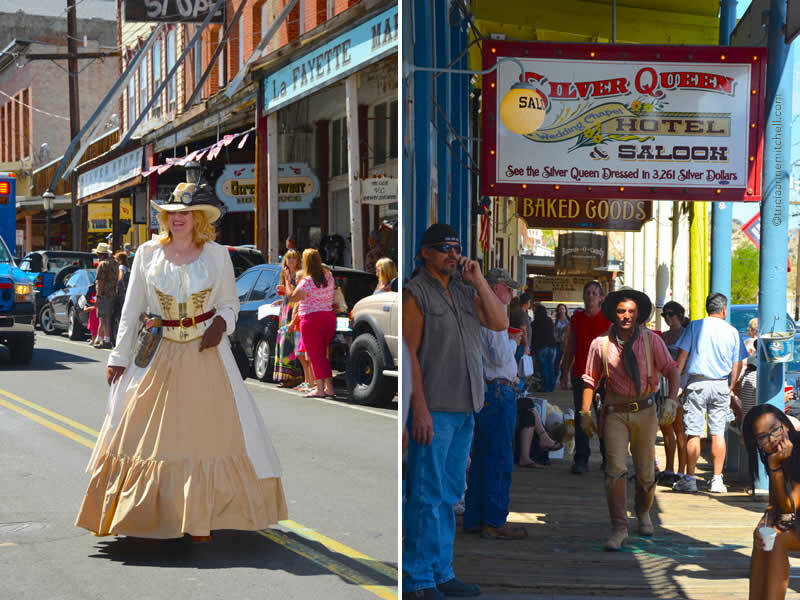 During the sizzling Saturday afternoon we visited Virginia City, before the ostriches and camels took to the dusty course, we first stopped by the Silver Queen Hotel & Saloon. The image of the ‘Silver Queen’ covers an entire wall, and her dress glistens with more than 3,000 silver dollars. 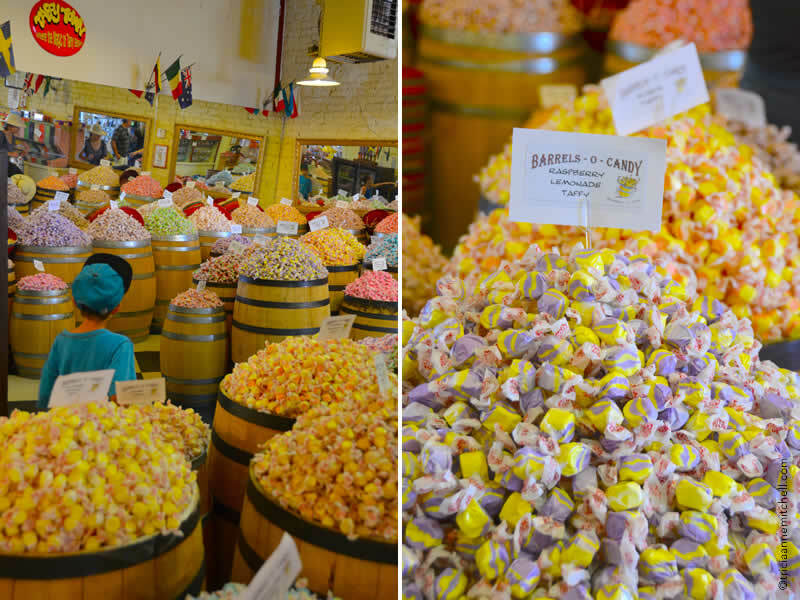 We also perused candy stores lined with barrels brimming with water taffy, display cases filled with plates of caramel apples, and squares of rich, delicious fudge. 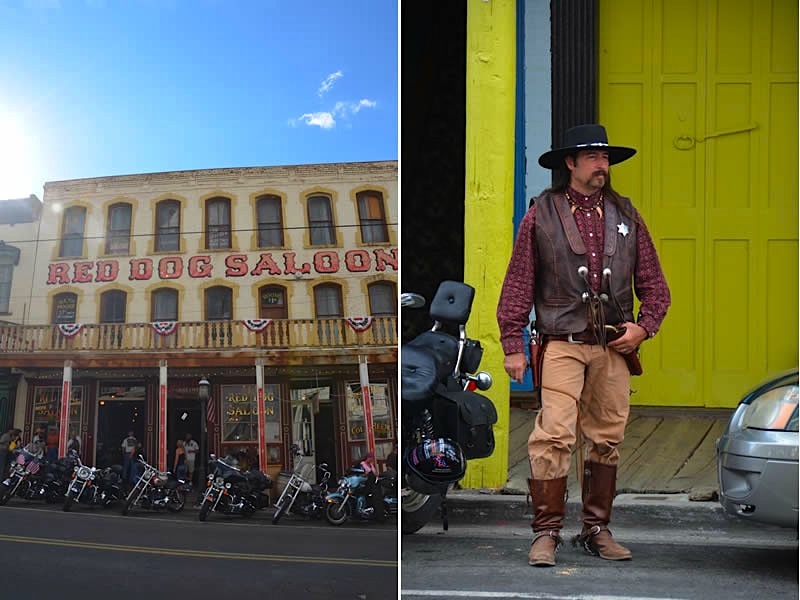 As motorcycles chugged along the road past porticoed storefronts adorned with red, white and blue bunting, we brushed shoulders with individuals that could’ve stepped off a wild west film set. 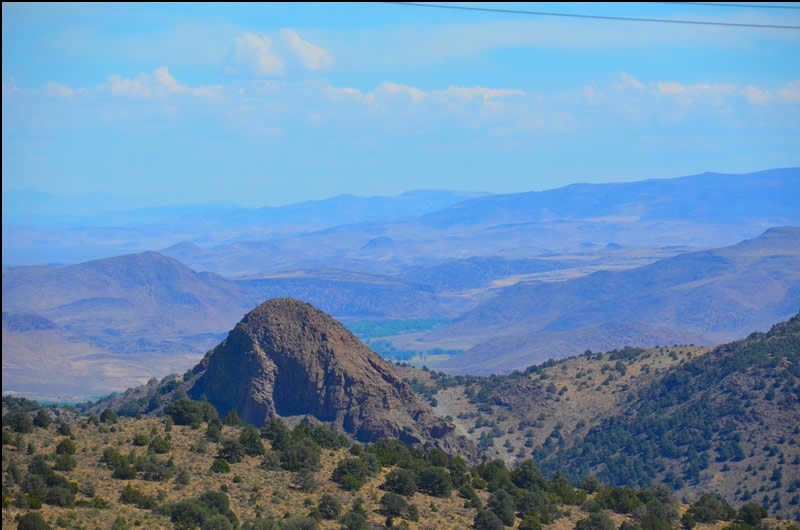 There were opportunities to pan for gold, explore the now-defunct mines that made some speculators billions in the 1800s, and pose with John Wayne cut-outs. But we would save those activities for another time, for we had come to spend the day at the races. We did, however, succumb to having our sepia-toned image snapped at one of the local photo studios. In the last photo of this post, you can see us masquerading as bank robbers. 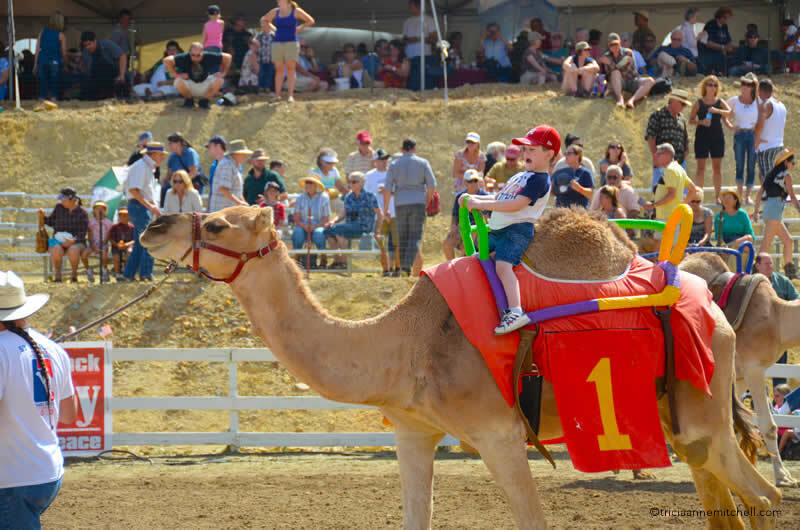 Down by the camel race track, a banjoist strummed away, while a twangy-voiced emcee got the ostriches and camels’ professional and novice jockeys ready to go. And soon they were off, kicking up tornado-like spirals of dirt as they made their way around the course. 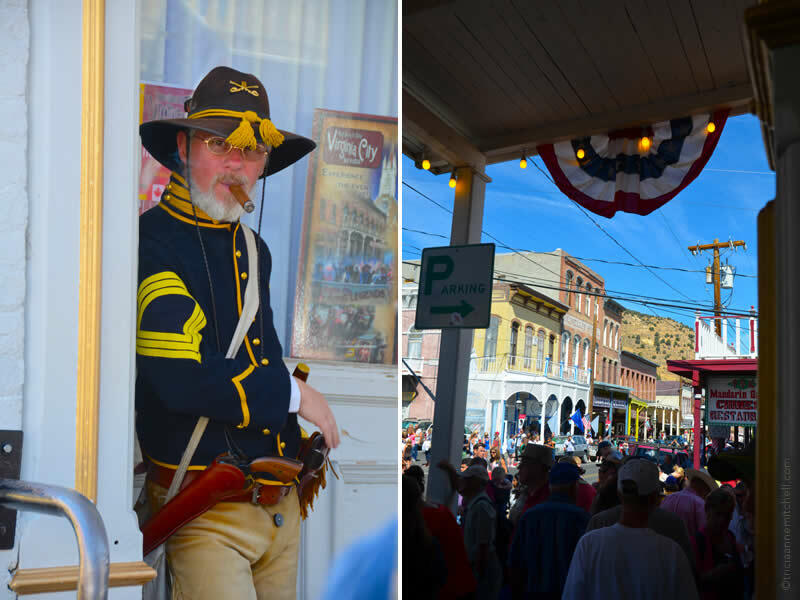 By the afternoon’s end, we left Virginia City with sun-kissed cheeks, dusty shoes, and the certainty that we’ll never look at camels in quite the same way as we had before these races in the wild, wild west. And they’re off! 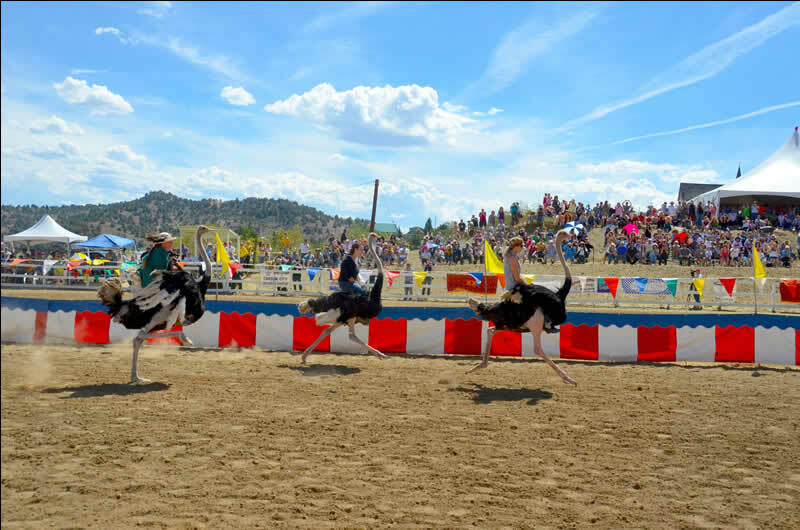 A trio of ostriches just through the starting gate. Camels at the starting line. 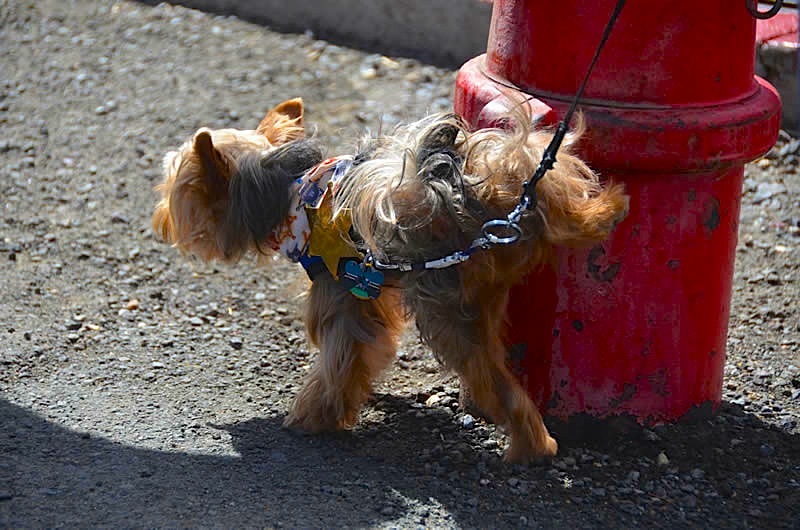 A Yorkshire Terrier pup, sporting a bandana and sheriff’s badge, leaves his mark on a Virginia City fire hydrant. 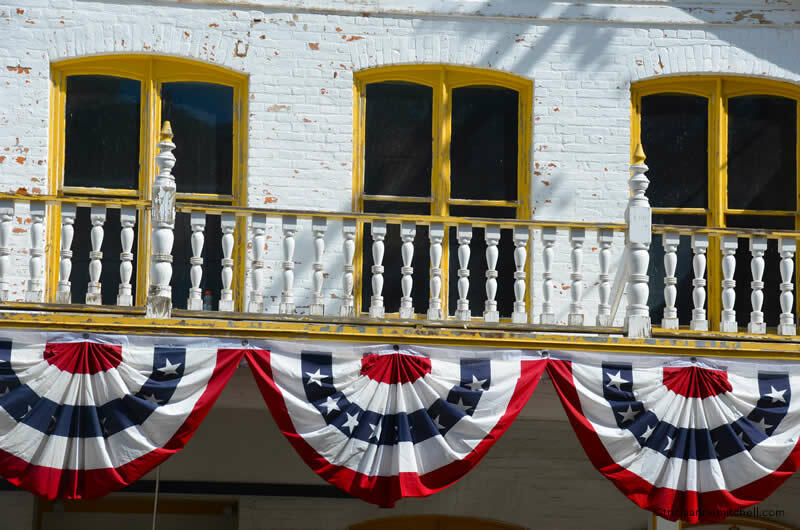 Festive bunting adorns a shop’s front porch. 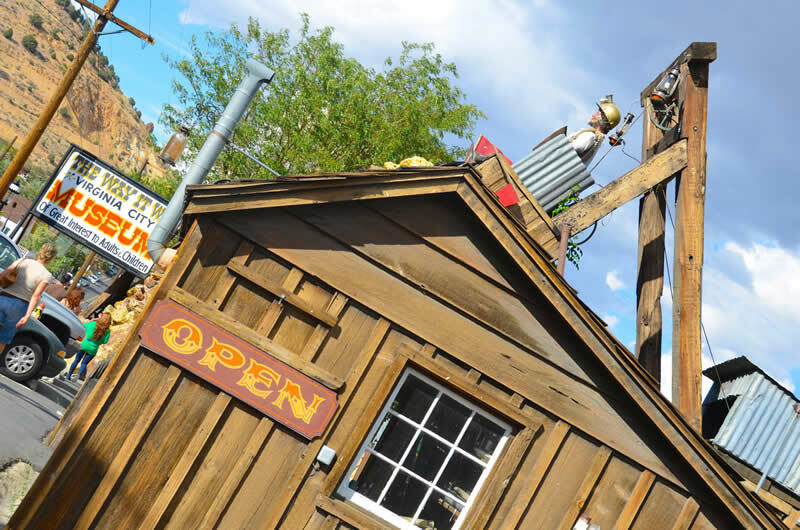 The Virginia City museum pays homage to the town’s mining past. Bountiful mounds of water taffy. 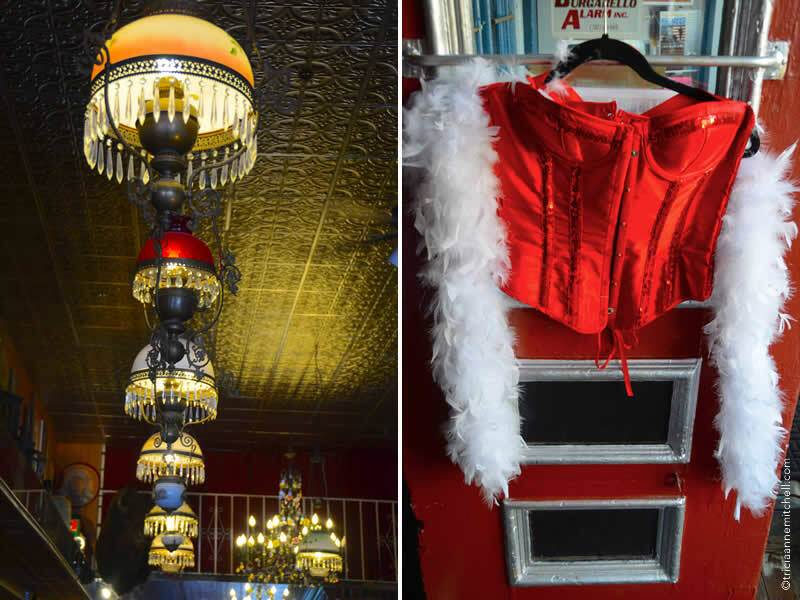 What’s become our Virginia City tradition: Stopping at Garters & Bloomers for an old-time photo with Shawn’s parents. During Shawn’s and my first visit together in 2010, we posed behind the saloon’s bar. 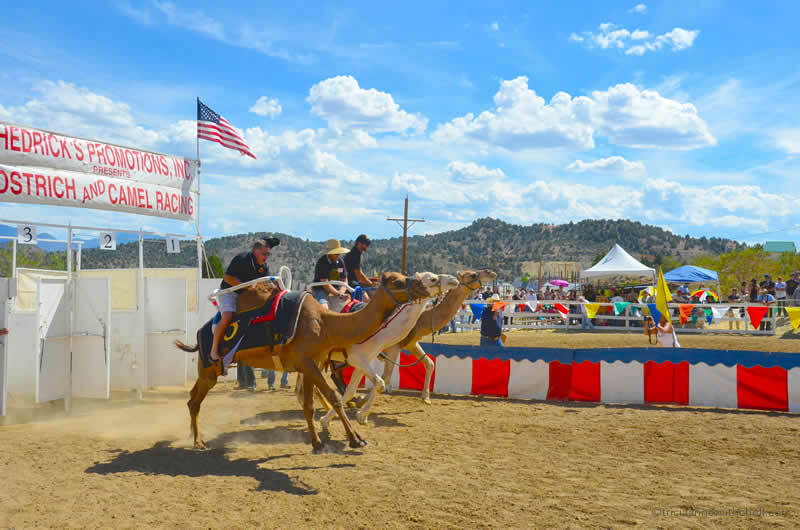 Virginia City’s camel races take place annually, in early September. 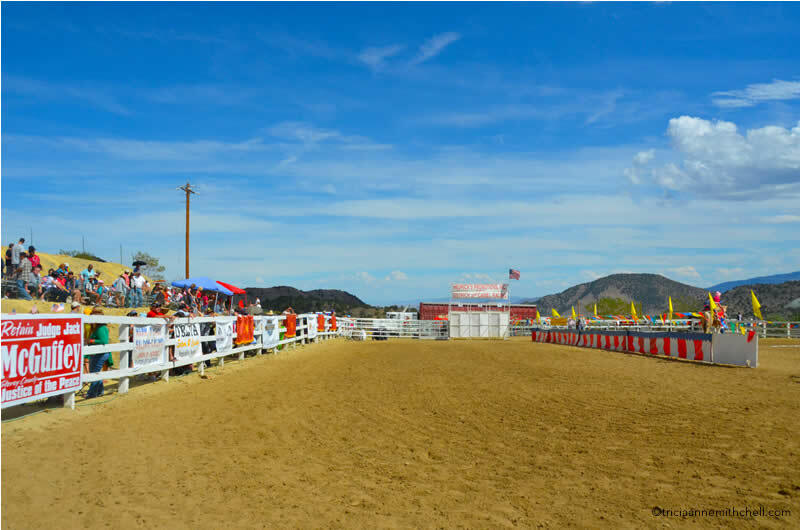 While there is a fee to enter the races, one can watch the parade at no cost. 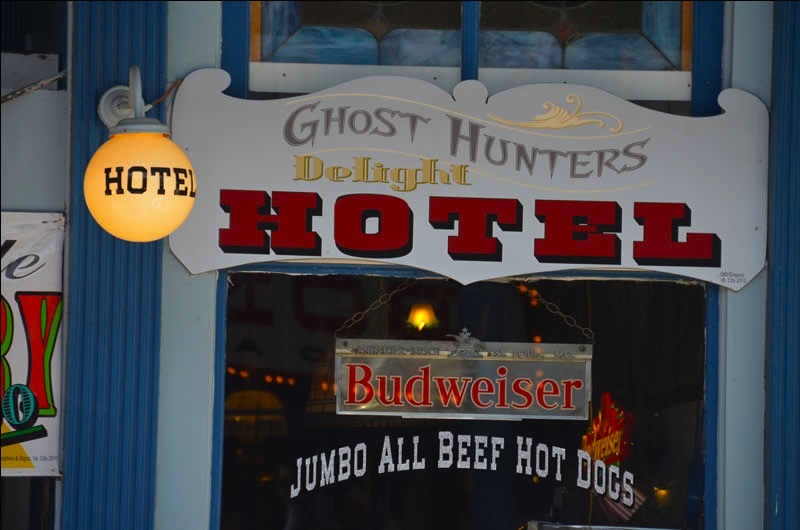 See Virginia City’s website for more details. I’ll have to remember this for next year. What fun! Angeline, my husband and I convinced his parents to go when we were visiting the U.S. last year, and we’re so glad we did. If you’re feeling really adventurous, I think you can even sign up to ride an ostrich or camel. I am LOL. 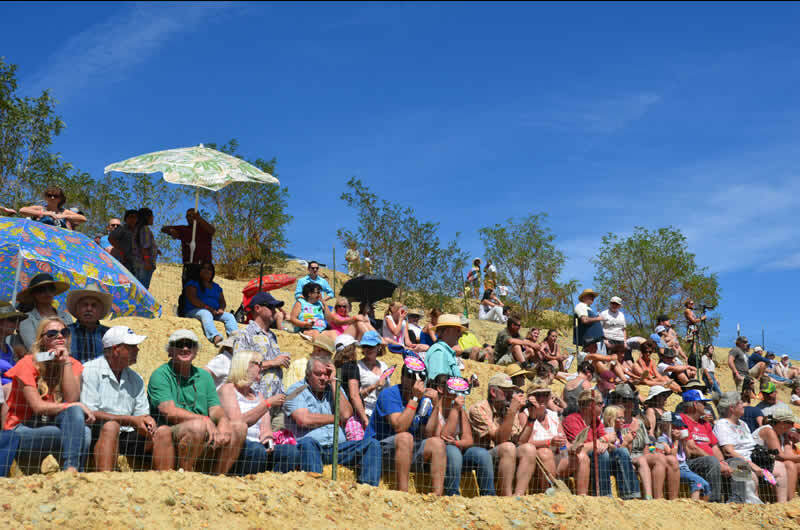 You’ve got some great shots of a pretty quirky race. What fun and to think you’re making it a family tradition?? Robbing banks!!! 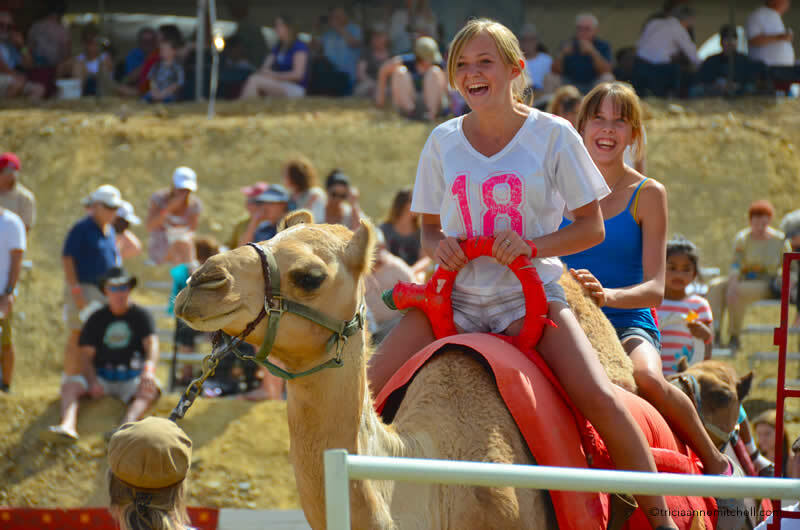 The youngster on camel 1 gets my applause for even trying. Lynne, that little guy’s expression is priceless, isn’t it? I hopped on a camel in Egypt some years ago, and it was especially thrilling there because there were no stairs from which to get onto the camel’s back. I felt as though I’d slide off if I didn’t hang on for dear life! 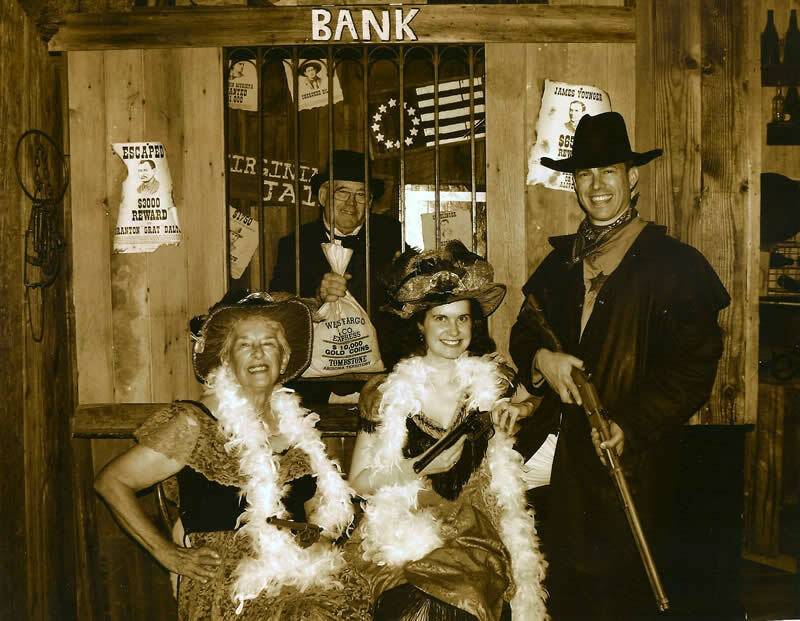 This was the first time we masqueraded as bank robbers in Virginia City. 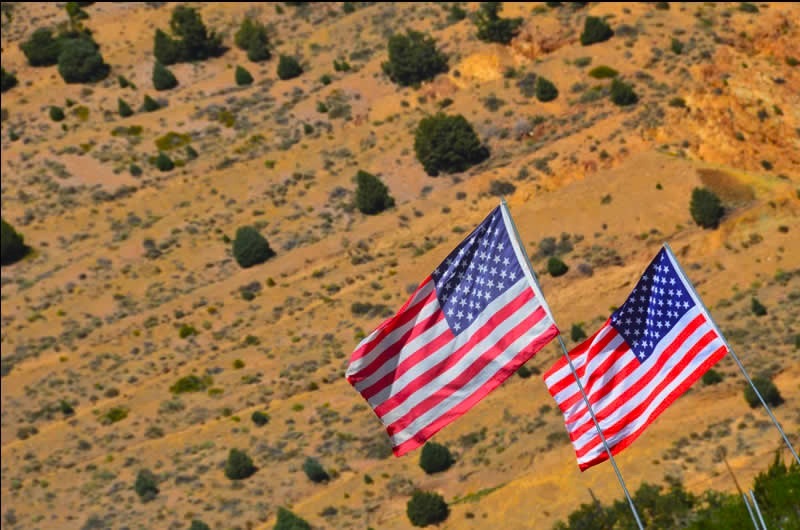 My husband’s family have lived in NV for many years, but had never made it to the races. 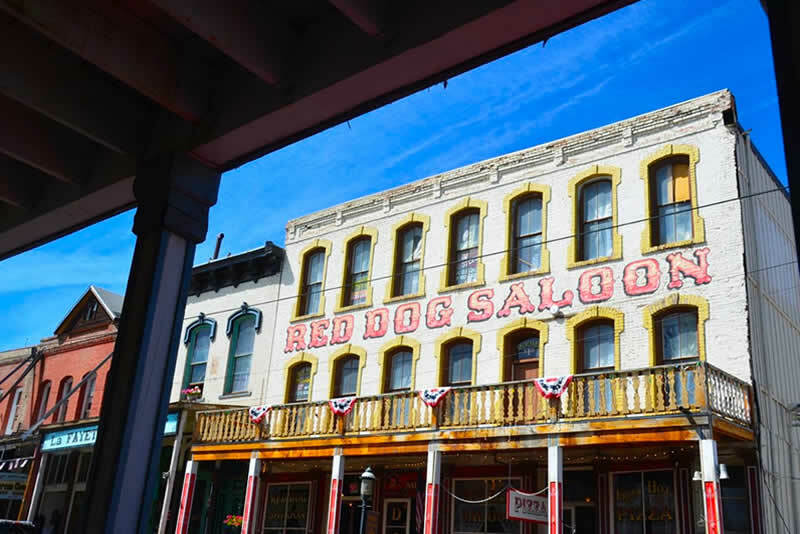 Shawn and I were up in Virginia City in 2010 (when we did our infamous saloon shot) and convinced his parents to join us for the annual races and a photo session. Such fun playing dress-up! 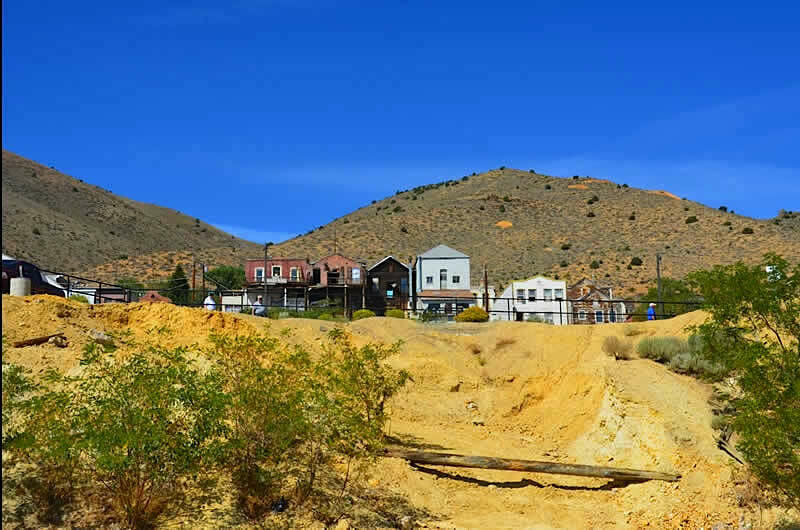 Virginia City also has a great history with Mark Twain having made appearances there. Reblogged this on Southwest States Club. Sounds like fun. I love camels and watched a camel race in the United Arab Emirates a few years back. I enjoyed it so much I included it in my book. I love the vintage picture you had taken. Darlene, it’d be fascinating to see a more traditional race in the UAE. Do you have any photographs of the event online? I love that you incorporated it into your book! I went to Bahrain a few years ago, but didn’t make it outside of Manama. I’m curious what it was like out in the open desert. It was before I had a digital camera so I don’t have any pictures online. It was amazing and I loved the two weeks in the UAE.The trip to the open dessert was mind blowing. I’m guessing the mental images of your time there are pretty vivid. How much time did you spend in the desert? When I was in Morocco, I was tempted by the Sahara excursions other travelers I met were embarking on. Perhaps someday soon! Looks like quite an event! 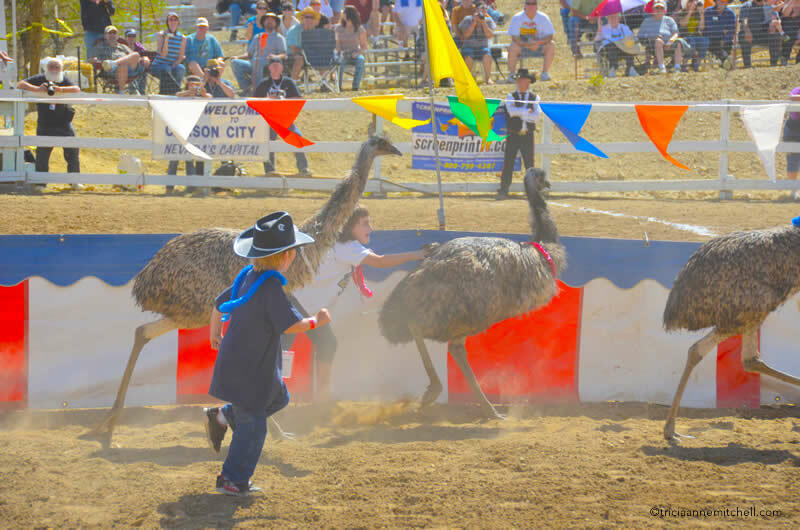 I’d love to witness the ostrich racing! Not exactly what you’d expect… Great, fun report! Such is the spice of life, right? :) I also appreciated the event’s unexpected traits, Alessandro. +Tricia A. Mitchell. Fun! You have inspired me to do an everyday piece on the twice daily cattle drive through the streets of Fort Worth, Texas. Your photos reminded me of the area we call The Stockyards. Honky-Tonks, folks dressed up like cowboys (except that they are not in costume! ), and plenty of boot-skootin’ at night. Have to wait ’til October though. The longhorns don’t seem to mind triple digit (Fahrenheit) heat, but I sure do! Deborah, that sounds like a great set of images in the making! It’s such a joy when there’s so much culture right in your backyard. Here in Bavaria, where we’re visiting my parents, we’ve been enjoying seeing the locals dressed up in Lederhosen and Dirndls, from time to time. Mostly, it’s for festivals and special holidays, but every once in a while, we’ll see a gentleman wearing a hunting hat with some feathers blowing in the crisp, mountain air. 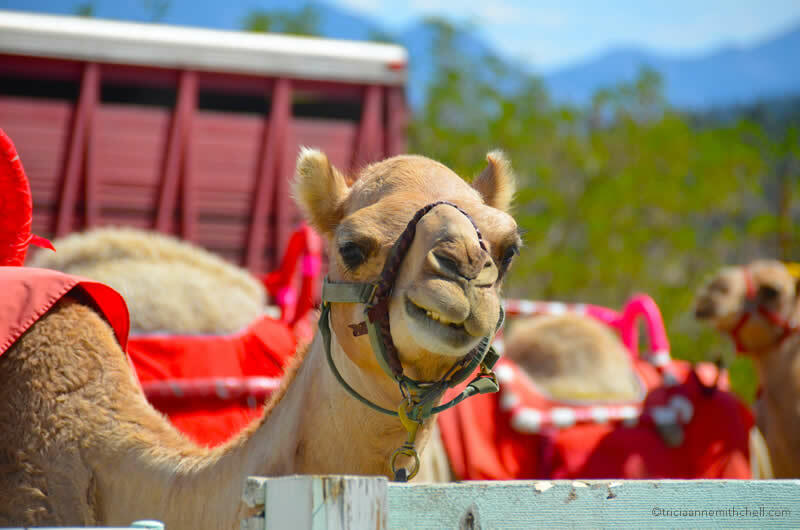 What a wild place – camel and ostrich races in Nevada… who would have thought! A quirky blend isn’t it? 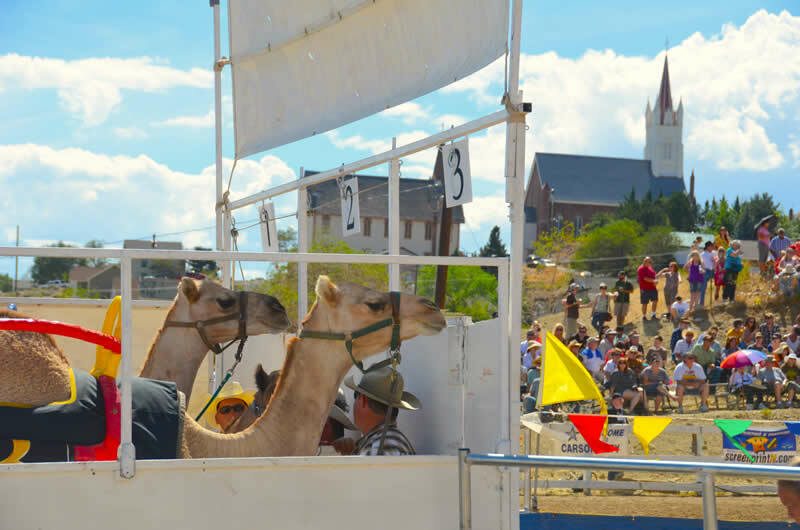 I found it interesting to learn that the camels were once used as work animals during the city’s mining days. I wonder how many places they globe trot to each year for such races? What a fascinating day out. 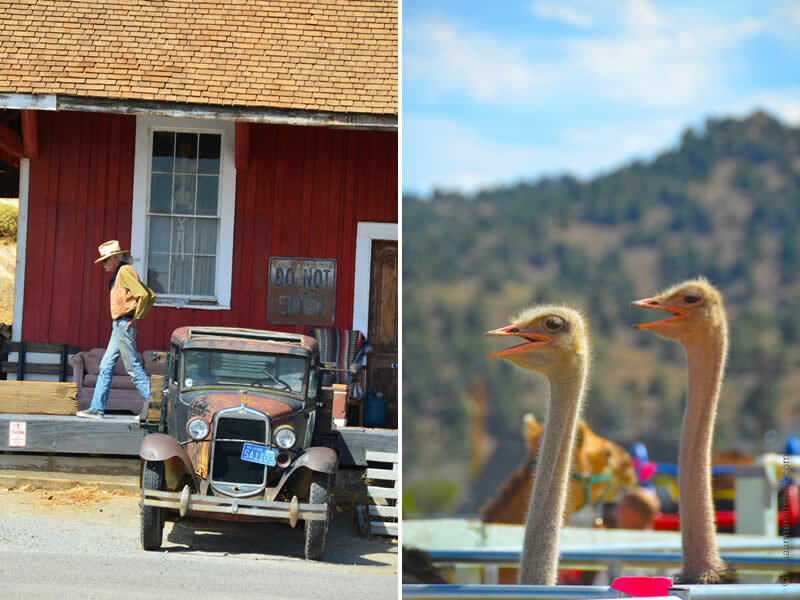 Camels and ostriches – wow! That was great! I never heard of that before. I like your pictures, especially the last one.